Representatives from Aarhus and Leeuwarden during their visit in Malta to discuss the collaborative project between Valletta 2018, Aarhus 2017 and Leeuwarden 2018. The collaborative project between the three European Capitals of Culture served to create a strategy for the coming three years. Four representatives from Aarhus and Leeuwarden, responsible for projects for the European Capitals of Culture in Aarhus 2017 and Leeuwarden 2018, came to Malta to discuss the collaborative project between Aarhus 2017, Leeuwarden 2018 and Valletta 2018 which gives children a voice through film and film making. Discussions were held over two days and included several meetings with artists and cultural organisations. 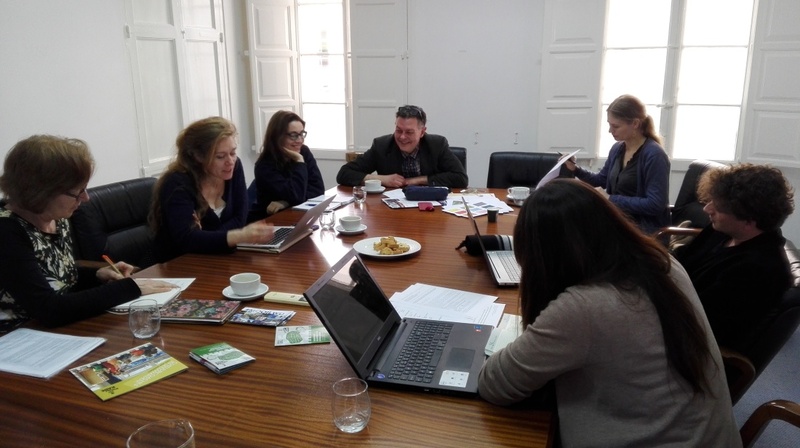 The project started as a pilot with the Valletta 2018 project Minn Fomm il-Bormliżi, which saw a group of youths recording the stories of Bormla’s community. The youths underwent a series of workshops in which they learned a variety of skills such as interviewing, filming and video editing. The collaborative project between the three European Capitals of Culture is developing and the meeting served to create a strategy for the coming three years.